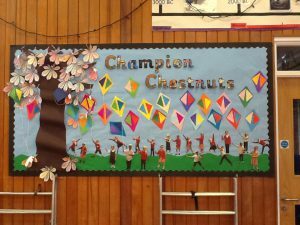 Please take a moment to have a look at some of the great things that The Champion Chestnuts have been doing during the first few weeks of this half term. In English we have been looking at stories by the same author and have just finished writing our own story based on the book I’ll take you to Mrs Cole by Nigel Gray. We are now moving onto explanation and instruction texts. We will be writing our own set of instructions based on games shows to begin with. We will then move on to creating our own game show with our very own explanation and set of instructions! In Maths, Champion chestnuts have been working extremely hard looking at place value and addition and subtraction. 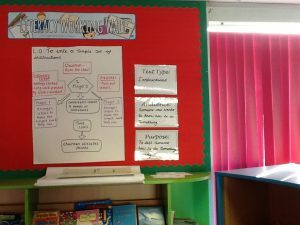 We have been looking at written methods for addition and subtraction. 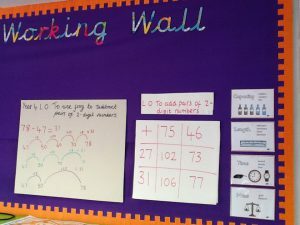 The children have been putting excellent amounts of effort into maths which is fantastic! Geography has been really exciting, we have been looking at Burton-upon-Trent as our local area study and the children are all really enjoying using Google Earth. We were very lucky to take part in a kick boxing session this week by the Star Foundation. All the children loved the session and were very good too! 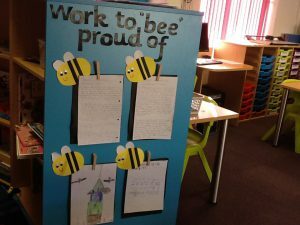 Some children have done some outstanding work which has been displayed on our Work to ‘bee’ proud of board. Well done to you! Previous Previous post: Together as one – improving all the time!